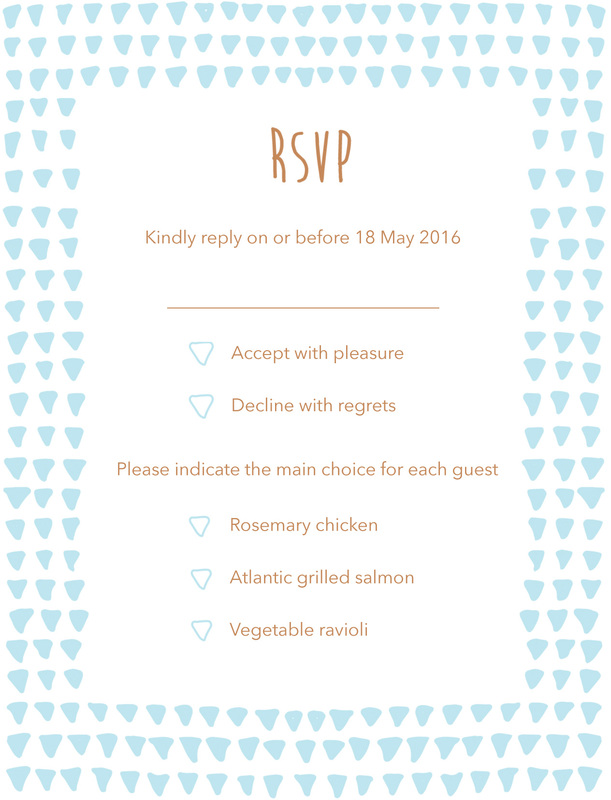 This RSVP card is from the modern wedding invitation set, 'Droplets'. 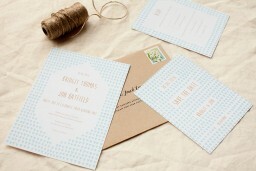 The simple blue and white wedding cards are perfect for any lover of minimalist design. This design is available as a digital print only. In regards to an rsvp card, this has to be one of the best I have ever laid eyes on. The use of blue hearts outline all the amazing info of the event to come, but at the same time they convey just how in love the bride and groom are. 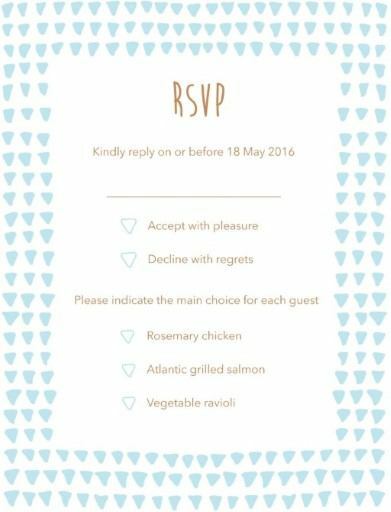 Definitely one of the best wedding invitation rsvp cards I think that I've ever seen!